BELGRADE, December 12./TASS/. Moscow knows that the European Union has written instructions on statements towards Russia, Foreign Minister Sergey Lavrov said on Monday. 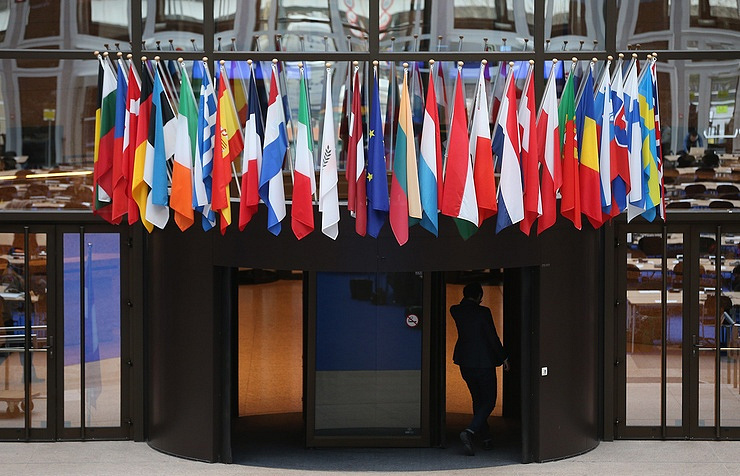 "I think it is secret to no one if I say that we know about written instructions in the European Union as to how each country, including candidates to join it, should speak publicly at any mention of Russia," the diplomat said. "It is written there that it is an absolute must for all these countries to pronounce as mantra the terms ‘annexation of Crimea’, ‘occupation of Donbass’ and so on," he said. "It seems that this instruction is binding," he added. 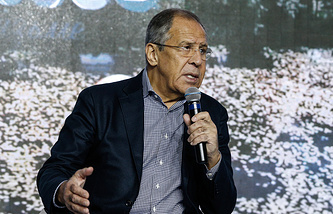 Lavrov also said that the European Union is seeking to be friends with a number of countries to antagonize Russia but this is a futile police. "We have already mentioned the Russian-Serbian humanitarian center which deals with clearing Serbia’s territory of unexploded munitions. More than four million square meters of land have already been cleared, more than 1,200 unexploded munitions have been rendered harmless," he said. "If someone is trying to see any threat to the European Union and NATO in this organization, I rather see that this position means that the European Union hates to see Russia and Serbia developing any type of cooperation." He said that sanctions against Serbian companies with Russian capital fit this logic well, whereas similar EU companies go without any restrictions. "We have always been saying that our friendship with Serbia, China is not meant to antagonize anyone. We are open for cooperation with all," the Russian top diplomat underscored. "This is Russia’s, Serbia’s position. But we want to develop our partnership with the Serbian partners in all spheres and concurrently develop Moscow’s and Belgrade’s relations with the European Union and all other partners." "Analyzing what the European Union is doing now, it looks like it is seeking to be friends with a number of countries, such as Montenegro, Serbia and other your neighbors, to antagonize Russia." Lavrov stressed. "But this is a dead-end and futile policy and I have no doubts that many, if not the majority, of the European Union countries see its harmfulness but continue to tail mechanically along after the Russophobic absolute minority and follow the ideology-driven course of those who decides the European Commission’s policy."